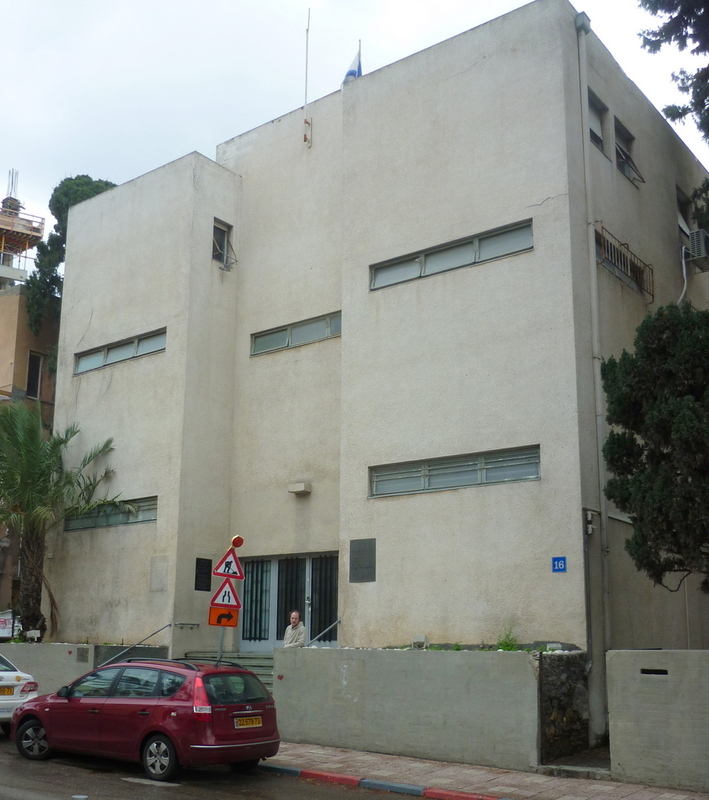 Looks like something dull like a tax office or something, but actually this unassuming building in Tel Aviv is where Israel was declared a nation 64 years ago today! I was here in February when it was cold and windy though. 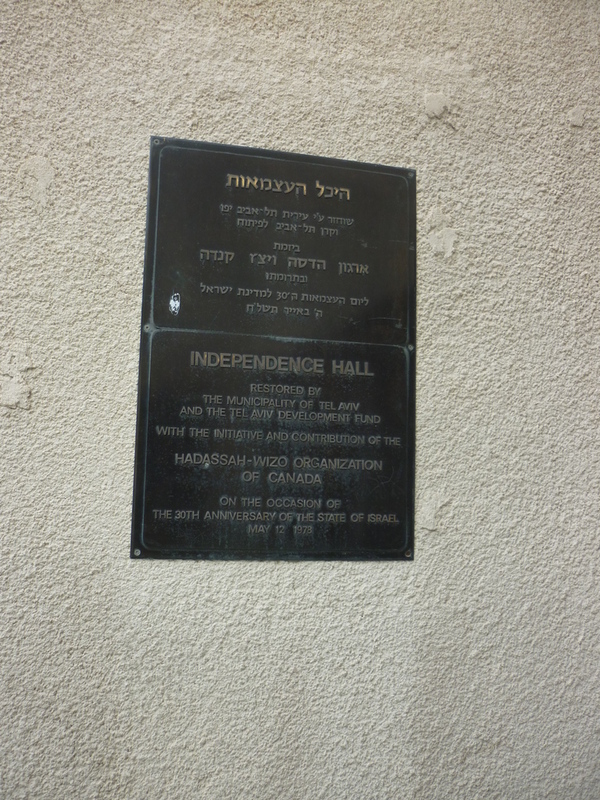 Apart from closely looking at these plaques on the walls, you probably wouldn’t know. 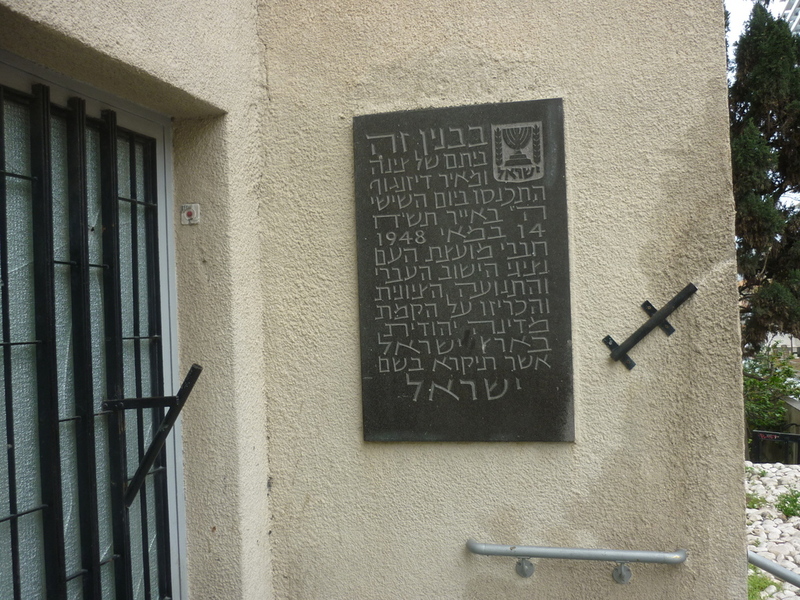 The bible gives a prophecy about plans for the founding of the 1948 modern day state of Israel, about ~1,878 years after the Jewish people were spread to all corners of the world. Isaiah 66: 8 Who has ever heard of such things? Who has ever seen things like this? Can a country be born in a day or a nation be brought forth in a moment? Yet no sooner is Zion in labor than she gives birth to her children. 9 Do I bring to the moment of birth and not give delivery?” says the LORD. “Do I close up the womb when I bring to delivery?” says your God. rejoice greatly with her, all you who mourn over her. Its odd than this concrete looking place with tiny windows was a meeting place for the government of a fledgling nation, but then again our Lord Jesus was born in stable, so from utilitarian places, great things can be developed. I didn’t see what this building’s current purpose is now or if you can visit.